Be the first to know about our latest products, offers and news! We'd love to use the information below to send you the most relevant body care updates & special offers. Your privacy is important to us. We will never share your email or information with anyone and you can withdraw your consent at anytime. Read more about how we use your information here. 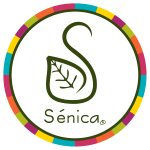 By joining this list you agree to receive communications from Sénica. Yes, I agree. Sign me up.